← Welcome to all of the new followers and a few of my favorite recipes! Hello! Welcome to OhMyGoodyGoodness all of you new followers, and long time no see, to the rest of you! It is hard to believe that we are almost to Thanksgiving. I haven’t posted near as many new recipes as I have wanted to this year. But, instead of looking back and being hard on myself, I have decided to share this recipe for coconut pie. Because, well, it is seriously amazing and much better than me having a pity party! Last year around this time, I was looking for something a little different to serve for dessert on Thanksgiving. Our family loves coconut, so I was determined to find some special treat that revolved around it. I came across this recipe for a coconut pie from BasicnDelicious. I slightly altered her recipe. It was my very first time making a custard, and I was surprised at how easy it was, and how silly I felt for never trying one before. I have made this pie several times in the last year and it has now become a family favorite. The one thing I love most about this, aside from the amazing flavor, is that you can make it up the day before you need it, store it in the freezer, and leave it to thaw out a little before you’re ready to serve it. It is a perfect make-ahead dish for a busy cooking holiday like Thanksgiving, and it will be on my table again this year. It isn’t really heavy on your belly and isn’t overly sweet either, which makes it perfect, in my opinion! ** This recipe contains substitute ingredients to make it GLUTEN, DAIRY AND SUGAR FREE. In a blender or food processor, combine the milk, coconut milk, egg yolks, condensed milk and cornstarch, and blend until combined. Pour into a medium size saucepan over low heat, stirring constantly with a whisk until the mixture starts to thicken up. When it is thick enough to stick to the back of a spoon, it’s ready. Remove pan from heat and whisk in vanilla and coconut extract. 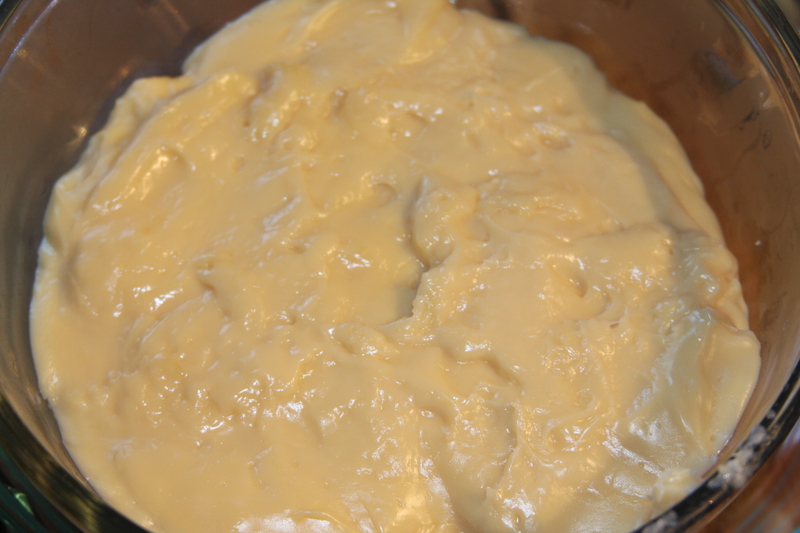 Place in a bowl and push plastic wrap down over the top of the custard and over the sides of the bowl. Refrigerate for 3 hours or until chilled. 1.5 tablespoons coconut sugar, I use this brand, which I found at my local Publix. You can also just use brown sugar. Preheat oven to 350 degrees. Mix the almonds, graham crackers, and sugar together until well blended. I use a large whisk. Then pour over the melted butter and mix until dry mixture is coated. Press into the bottom and sides of a large pie dish and bake for 10 minutes. Let crust completely cool before adding the filling. 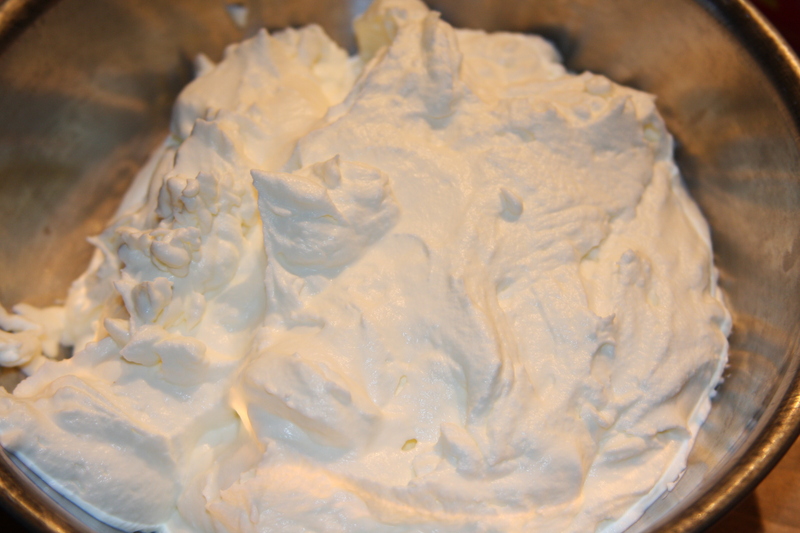 Whip the heavy cream (or substitute) and the powdered sugar with a hand mixer or stand mixer until it forms stiff peaks. Stir the chilled custard filling into the whipped cream until it is well blended, and then pour into the crust. Freeze for about 2 hours before serving. You can also make this up ahead of time and freeze overnight, then just take out about an hour before your going to serve it. Preheat your oven or toaster oven to 400 degrees. Place coconut on a baking tray and spread it out so that it is in a thin layer, then place in oven. I usually start with about 5 minutes and then check it, adding an additional minute or two if necessary. Watch it very closely, because it can burn quickly. Once it is a nice, golden, brown color, remove it from oven. 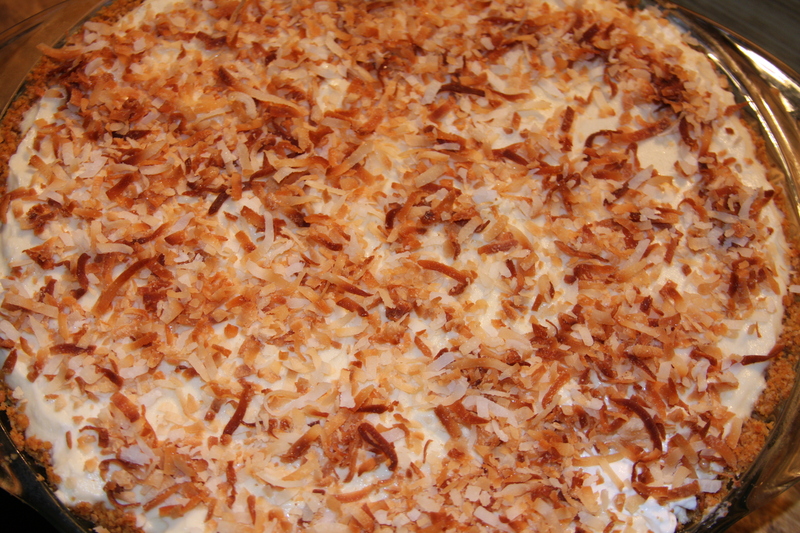 Place toasted coconut on top of pie, just before serving. I hope you will enjoy this as much as my family does! This entry was posted in Dairy Free, Dessert, Dinner, Gluten-Free, Lunch, Recipes, Sides, Snacks, Sugar Free, Toppings, Vegetarian. Bookmark the permalink. Let me know what you think when you make it! My very favorite pie….can’t wait to try it. Looks delicious!! Images also stunning. I am super excited to try this recipe. 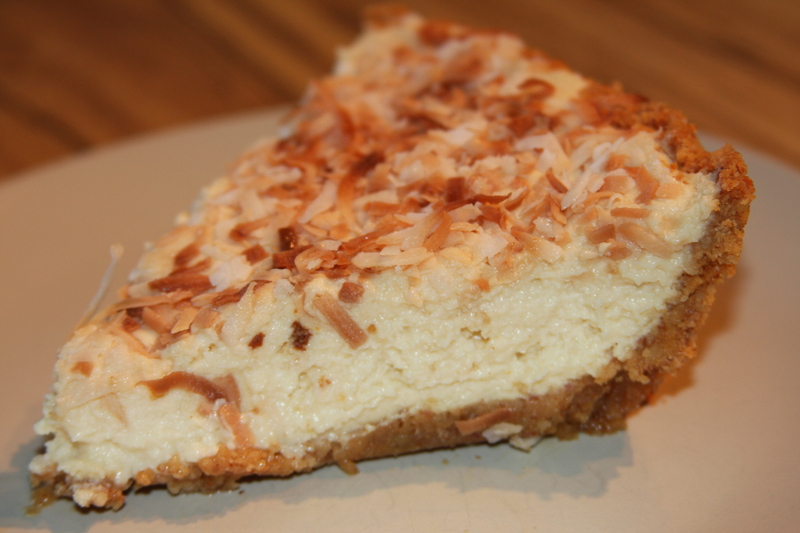 Thanks for sharing the coconut pie recipe.